Hi! My name is Delaney and I am an Economics major at Denison. I am going into my Junior year of college and spent the last summer interning as a Finance & Operations intern at the Leukemia & Lymphoma Society. This summer, I learned how to work and interact professionally, which is something I value tremendously. I learned how to conduct myself in an office setting, work with others, and contribute as an individual team member. I helped collected roughly $30,000 of funds for LLS. This was a great accomplishment that I am able to advertise on my resume now. It has been very rewarding to see hard work translate onto paper. Every day, I worked to collect funds for the organization. A lot of this collection was done by processing wired funds or matching gifts that had been made on behalf of the organization. This work required a lot of analytical thinking. I almost felt like a detective trying to piece together where certain funds were etc. I really enjoyed working alongside my supervisor. She was extremely supportive and helpful. She would always leave me detailed notes at the beginning of the day, usually presenting me with tasks for the day and how to complete them. Her attention to detail prevented me from having to ask her a million questions a day, which was something I found to be extremely helpful. Although I enjoyed my time working in for an NPO, the internship highlighted the difficulties of the industry. Ideally, I would like to take the finance related skills that I learned during my internship, and apply them to a career in a financial services firm. For my first career, I do not think I will pursue working for a Non-Profit. Instead, I will try to incorporate philanthropy in my life in alternative ways. Think how you spent your summer isn’t important? think again! 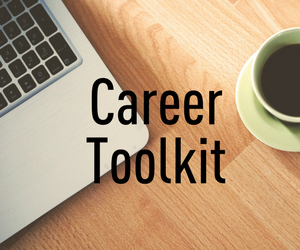 Check out some great advice from Michele Doran, Associate Director, Knowlton Center for Career Exploration! While having an internship at a Fortune 500 company or conducting summer research certainly stands out on a resume, not every student, for various reasons will participate in that type of opportunity. So what DID you do this summer? I am always surprised at how sheepishly students bring up the fact that they didn’t have an internship over the summer. In most cases students had a “summer job” and unfortunately, many seem embarrassed by that. Summer internships and research can be very valuable with regards to career preparation, however, students should not discount the importance of other types of summer experiences. The important thing is to reflect deeply on how you grew over the summer. If you traveled, did you learn to problem solve, get more comfortable with other cultures, step outside of your comfort zone? Perhaps this is the only time due to academics that you had the time to travel, no need to apologize for that. Traveling and experiencing new places can be very influential to your overall personal growth. Maybe you had a less-than-glamorous summer job. What did skills did you develop? Did you develop a work ethic, work with a diverse team, gain an understanding of the importance of deadlines and maybe get exposure to a career field that you never thought of? Spent your summer as a nanny or babysitter? Consider time management skills developed getting multiple children to different activities at different locations, conflict resolution (when dealing with sibling squabbles) and negotiating skills (no one drives a harder bargain than a truculent teenager). Time to update that resume! When you are updating your resume at the end of summer make sure to take the time to reflect on your experience. Ask yourself what instances made you stretch yourself, what seemed most important to you and how might these learning experiences be transferable to other fields? It isn’t too late to start a journal to take notes. When adding to your resume remember to focus on your accomplishments and not necessarily each individual task for which you were responsible. Of course, the staff from The Austin E. Knowlton Center for Career Exploration is ready to help you wade through these questions, regardless of what how you spent your summer—we can’t wait to see you soon!